Women's 15 Pc Towelettes. 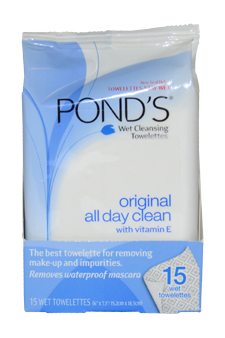 Ponds clean sweep cleansing and makeup removing towelettes travel pack. These soft silky ponds facial wash towelettes contain an advanced complex to gently wipe away dirt and make up.